Exceptionally well maintained and completely modernised (2014) and extended three bed-roomed end of terrace family residence circa 1,026 sq.ft. (95.33 sq.m.) with lounge, open plan kitchen and family area, utility and downstairs w.c. 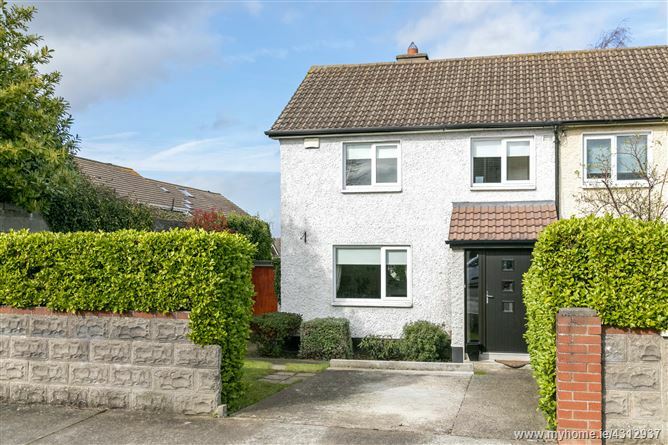 Private garden to rear with side passage circa 9’6” close to Nutgrove Shopping Centre, walking distance to Dundrum Town Centre, Luas, bus routes and many leisure amenities. Excellent selection of local primary and secondary schools. There are double glazed pvc windows & all carpets are included in the sale. Private Rear Garden Circa circa 36ft. Floor Area circa 1,026 sq.ft.– 95.33 sq.m.